Pre-book your ticket to enjoy a full access to the whole estate of Versailles. From the opulent Halls of Mirrors, the ornated King's and Queen's appartments, the Trianon, Marie-Antoinette Estate to the manicured gardens with the impressive 'Fountain Show' (optional), you'll be delighted to immerse in the life of the French Monarchy. You'll have all day to stroll through the gardens and Palace with audioguided commentaries. Access to the Gardens is free except on days with Musical Fountains Show or Musical Gardens. 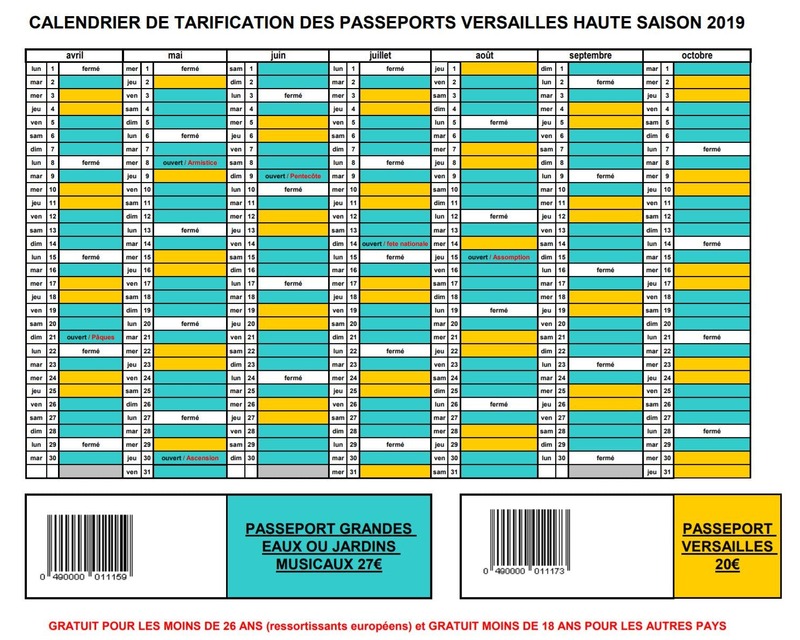 The days of Musical Fountains Shows or Musical Gardens, the price of Passport is increasing from 20€ to 27€. Musical Fountains Shows or Musical Gardens take place from 2nd April to 31st October 2019, on Tuesdays, Fridays, Saturdays, and Sundays. Present your voucher directly at the Palace entrance, skip the cash desk. From Paris take the RER C and stop at 'Versailles Château - Rive gauche'.